History is a fascinating and interesting topic. 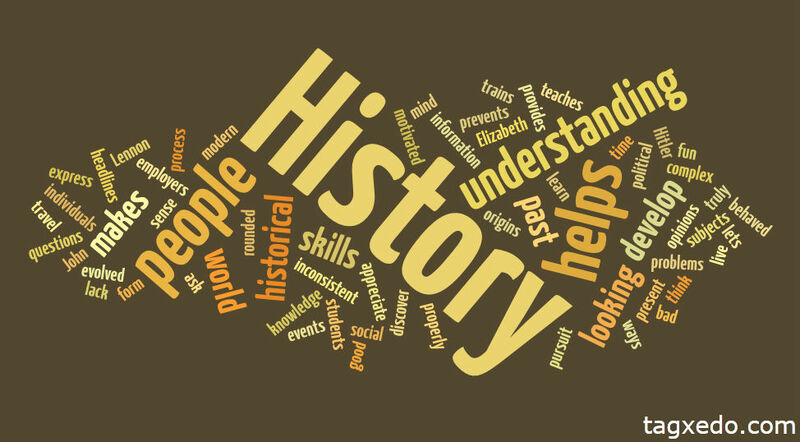 Students learn about the developments of their own countries, the cultures that have come about, the inventions that we see today, the understanding of our civilizations, and the wars that seem to never end. While history can teach us all of that and more, there are a few limitations. History is taught differently in each country, each nation being biased to their own, which is an issue that probably will never be fixed. The aspect of history that makes it difficult to understand, is that it is long… very long. And history is a never ending. With this concept, history can be boring…very boring. But to history’s defense, it’s interesting and crucial to understand so that we can live in a better world today. I think that if history was taught using graphic novels instead of textbooks, it would make it a lot more interesting. Students would be able to get a visual and organized understanding of events. This has recently been a new ongoing phenomenon occurring today. 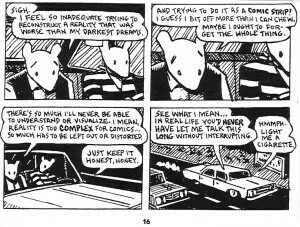 The most commonly known historical graphic novel is Maus. If George Owell’s animal farm was written in a form of a graphic novel, it would have been much more interesting. 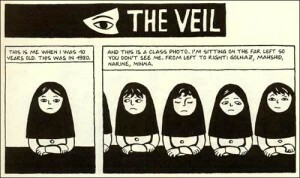 There is another fascinating graphic text, Persepolis, that was written around 2000. 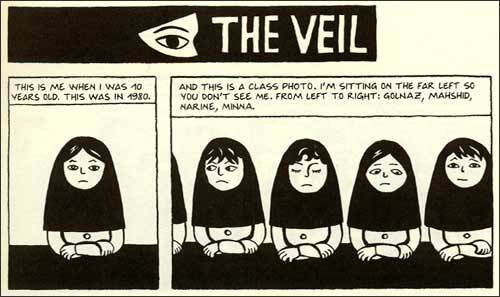 It’s a graphic text that represents a female character growing up during the Islamic Revolution. It was originally written in text and was later translated in different languages and was even adapted into a French animated film that was nominated for the Academy Awards. 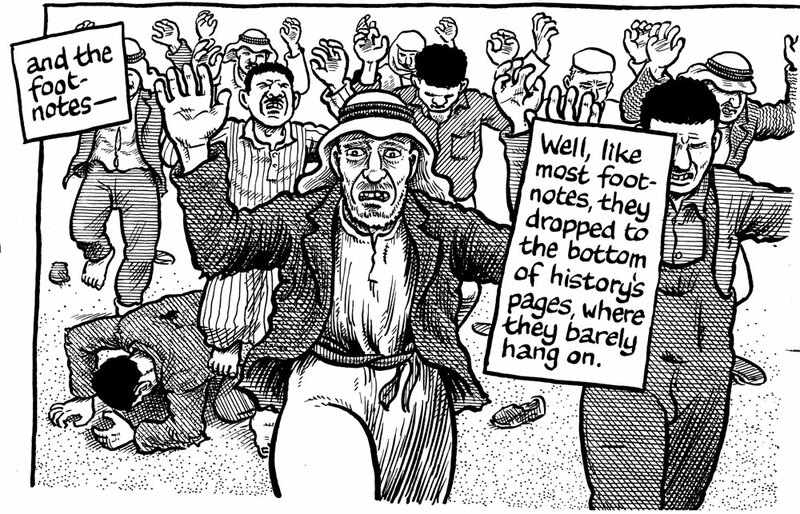 Two graphic novels that I think would be an important and interesting read are Joe Sacco’s Palestine and Footnotes in Gaza. These texts give an overview of the never ending Palestine/Israel conflict and organize the massacres that happened and are happening in Palestine everyday. This would be a great text to be taught to help people understand the truth in a different and more understandable way. In class, we will be reading historical texts such as March: Book One and The Great War War: July 1, 1916. For a list of more historical memoir graphic texts, check this link or that link. I agree with this wholeheartedly. Graphic novels are incredibly underutilized in education in general. I usually think about using graphic adaptations of novels in English classes, but your point about them being a good visual way to organize history is interesting. I do have two concerns however. The first is about the writing of these novels. Unbiased historical accuracy is probably never going to happen, but the books read in history classes should be relatively close. So my question is: should these graphic novels be written by creative authors with experience in the graphic format or should they be written by historians. Authors are more likely to insert bias into the works, but historians may render them almost impossible to convert to graphic format. My second concern is about the amount of time that can actually be covered using graphic novels. Historical novels usually pinpoint a moment in time and cover it in great detail, so this aspect would have to be removed or students would have a much more limited scope of history in their repertoire. This is an interesting idea, and actually I have had a history professor use a graphic novel as a textbook. I have also had a logic professor use a graphic novel as part of our class reading. I think that the genre as a whole is becoming more accessible and more widespread. A graphic novel is in many ways helpful when processing something like history as it can help you not only learn the information involved but have a depiction of the events happening which may help the facts and events be more permanently stored in the students’ brains. I also agree that graphic novels have great educational (and of course) literary value that begs for their inclusion in school curricula across the world of academia. The fact that the medium has remained largely marginalized by educators up to this point is a mistake that should certainly be corrected. In addition, the examples you gave, especially Persepolis and Maus, i know to be excellent works that provide essential perspectives on their respective times and situations. 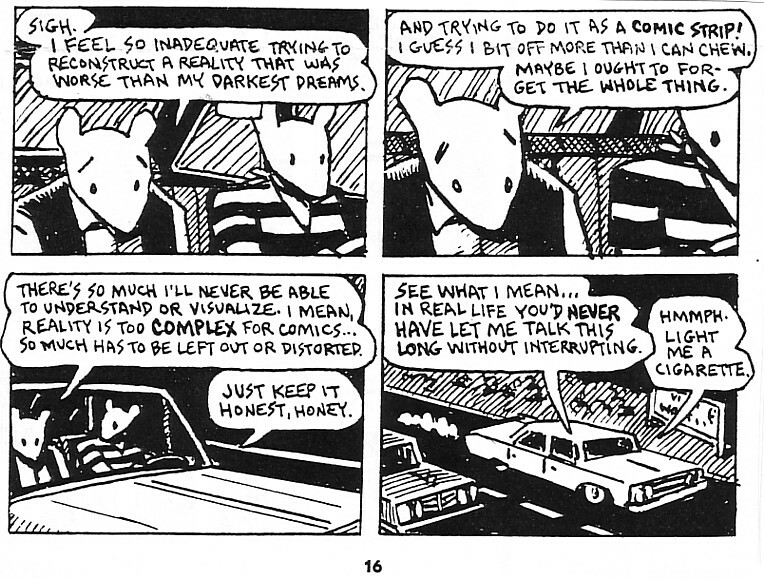 In fact, I first read Maus as a required text for a middle school project on the Holocaust. In addition, as our academic attitudes towards history change, the value of personal and somewhat subjective takes on history are becoming more and more important. In our Postmodern worldview, it is apparent that the idea of history as an entrenched and unassailable truth has been fundamentally weakened. As a society we are beginning to understand just how warped our understanding of past events really is, how much biases and the “winners write the history” effect changes the record. With this in mind, getting the varied perspectives offered by personal narratives could possibly outweigh their perceived lack of seriousness (on the part of those who discount the value of graphic novels). I like the idea of using graphic novels as a educational tool. I myself was assigned to read MAUS in high school. That being said, I feel there are a few issues with using graphic novels in this context. First of, I believe history should be taught from a non-biased point of view. While this doesn’t always happen, I believe it is important to at the least learn, experience historical events from various perspectives. I think this is necessary to form a proper summation and understanding of what truly happened. While in some instances the visual aid that graphic novels offer can enhance the experience of the reader, when it comes to history I tend to question whether or not this complicates keeping a non-biased point of view. Visuals are powerful, and they stick with us. 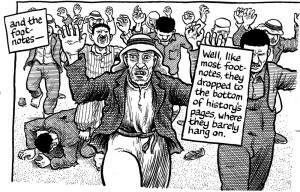 I would have a major issue with a historical event being taught solely through a graphic novel. The students would be subjected to the illustrators depiction, no matter how accurate or inaccurate it is. At the same time however part of me realizes that this same argument can be made for any piece of literature. Novels, textbooks, poems, biographical accounts, graphic novels, they all are written with some sort of bias. In the end i guess it is the readers duty to analyze the historical account subjectively, no matter the medium, in order to gain a sense of what really happened.